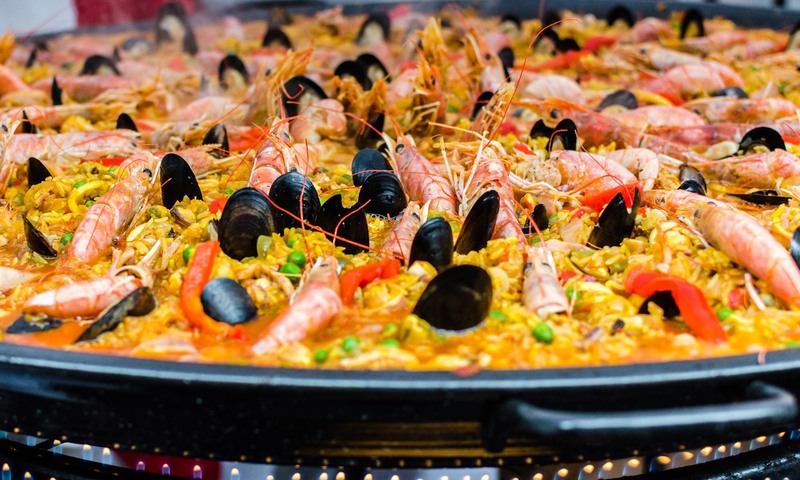 Paella - We create a unique atmosphere for you and your guests by preparing fresh paella of your choice in authentic spanish big pans. At Events it will leave your guests feeling satisfied and keeps them entertained with our show cooking. 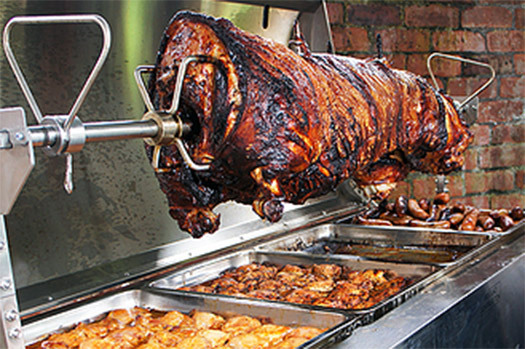 Hog Roasts - Enjoy one of our locally sourced delicious hog roast complete with crackling and condiments. 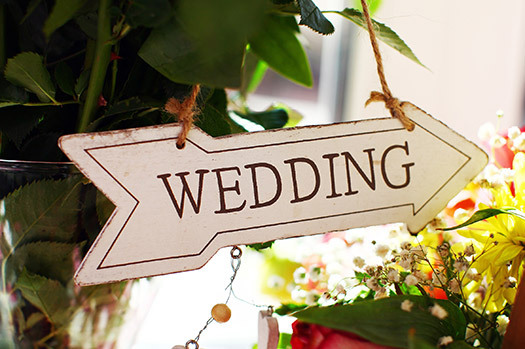 We can cater for any events, including weddings, birthdays, anniversaries and any special occasion. Wedding Paella - Paella is a great alternative for a wedding breakfast or evening meal on your special day. We offer a number of different paellas and guests can enjoy watching the flavours unfold. Paella is a rich rice dish from Valencia, located on the east Mediterranean coast of Spain. We import our spices and bomba rice from Valencia. 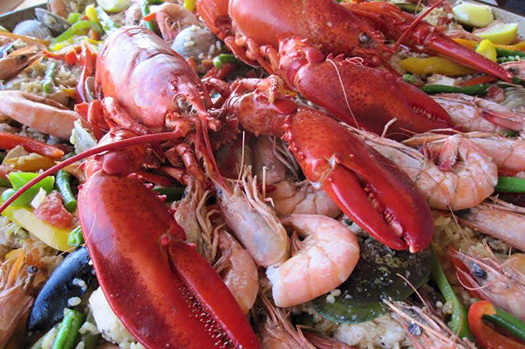 We use quality local meats and vegetables to make our paella and spanish seafood for something special. 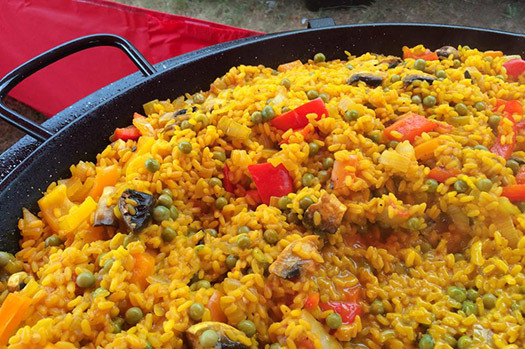 Based in Llanfoist near Abergavenny we offer event catering we have everything you need for whichever paella you choose: meat and vegetable or seafood paellas. Cooked from our pop up kitchen we can cater in most places, Stand out from the crowd try something new. We can offer a large range of tapas for your event and our paella is Gluten free. Let us cater for your event and bring a taste of sunshine to you and your guests. 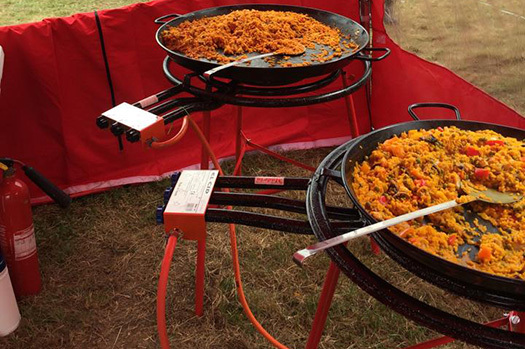 We now offer team building days where you can work together to set up one of our paella burners and have a cook off to see who can create the best paella and have a feast at the end! We cook all food fresh in front of your guests so they can see the magic happen, great talking point and something different. With our pop up kitchen we can cater indoors or outdoors from 10 guests to over 100 we provide everything needed for your event. We offer a full range of paellas and tapas from traditional spanish recipes to whatever you fancy. Catering at festivals, weddings, private parties and corporate events. We would love to speak to you about your catering events requirements.